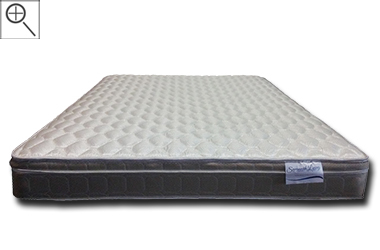 The Norcross Euro Top is an entry-level innerspring mattress that has a relatively high level of comfort for a very cheap price. It's 8 1/2" inches thick so you're getting a reasonable amount of foam buildup on top of its VertiCoil spring unit. Two of our best-selling budget mattress models were the Andora and the Galileo and Corsicana has combined some of the better parts of each of those mattresses and put them together in one: The Norcross. That's in addition to improving the coil system! Medium to medium-plush in feel - this is for those who want a slightly softer sleeping surface. 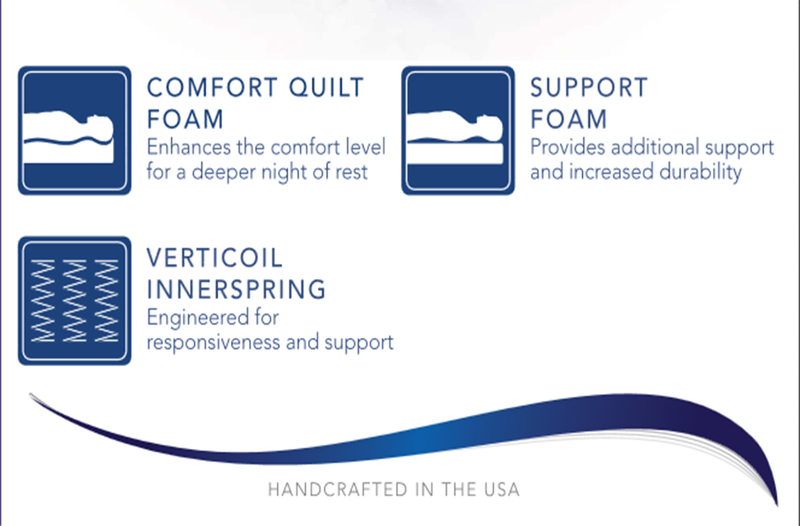 What more can I say beyond "great value - much more than most other makers' entry-level standard spring mattresses?" This is a medium-plush feel, VertiCoil coil system that's taking Corsicana's Andora Plush and Galileo Euro Top models and combining them, but adding a better spring unit. The VertiCoil is designed to help respond to your movement better and give the mattress somewhat of a body-contouring effect. Decent thickness and buildup and low price tag. Great for kids, teens and even adults who need a cost-efficient sleep solution that offers a relatively high level of comfort. 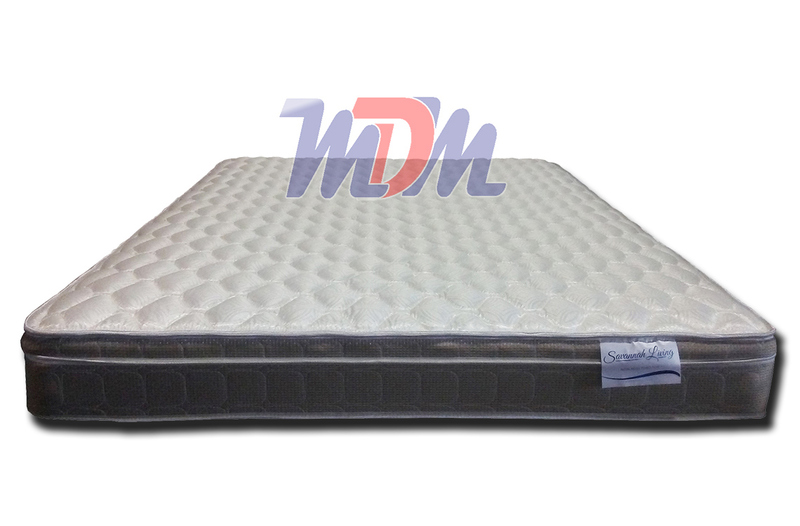 For another great value model that offers foam encasement to cut down on motion transfer, have a look at the Cavalier Firm VertiCoil, Foam Encased Mattress. It's a slight bit firmer but a similar construction - just an improvement for a very slight price difference.